The Valentine’s Day is coming. 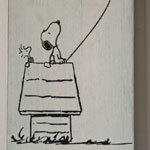 That is the reason of our Snoopy Valentine’s Day Giveaway. 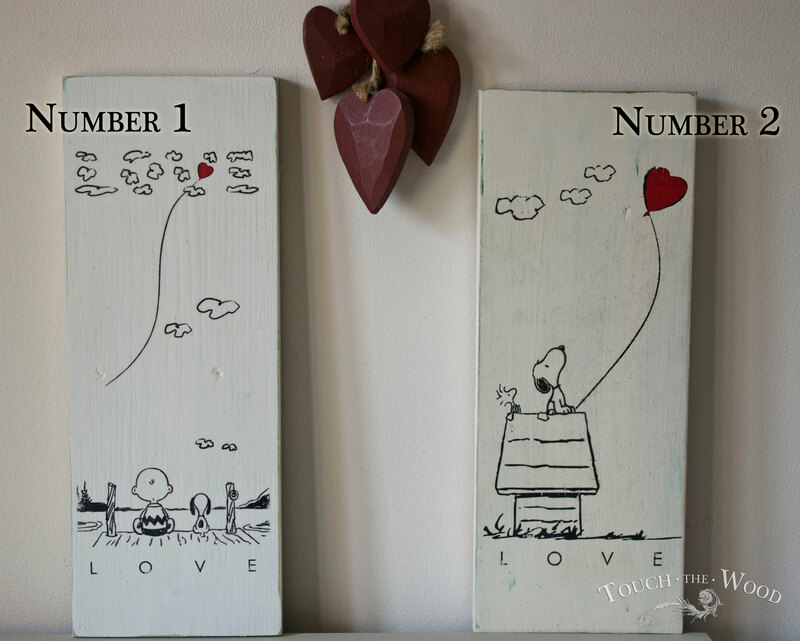 Here you have a choice of two wooden plaques, perfect to hang on the wall or lean against your desktop. 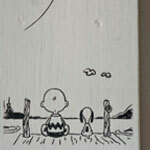 Both of them present Snoopy – cute and charming character from the ‘Peanuts’ comic strips. 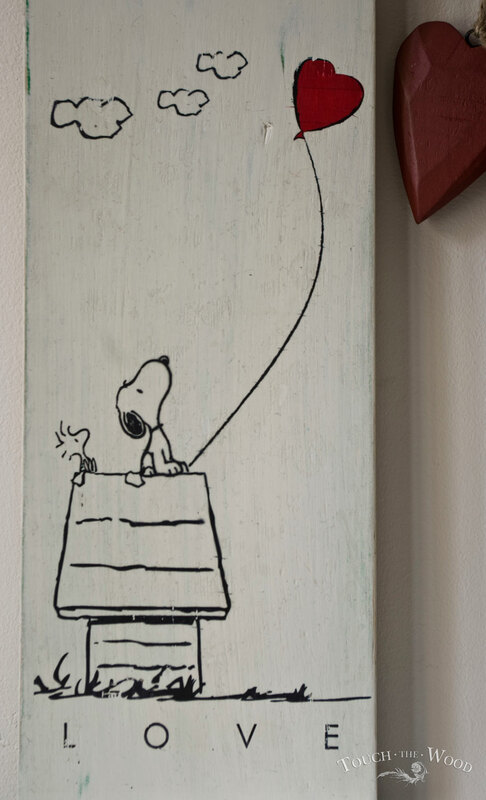 Everyone knows and loves Snoopy. 2. If you are on Facebook, we would be more than happy when you LIKE our Facebook Page, and SHARE this giveaway. We will close the game and choose a winner a week before Valentine’s day (Feb 7th), to give a time for delivery. We will deliver worldwide, so literally everyone has a chance. The plaques are made of reclaimed wood found on the London streets. Wandering around the town you can find a lot of treasures like these. We transferred the print on them using PVA glue (same as Mod Podge) technique. They were found green, then painted blue, and then covered with ‘Old White’ paint. After bit of sanding, all of it was protected with Annie Sloan’s clear wax. Hi! I would like to have no.2 , please. Its a hard decision because both are adorable! Number one is my choice though – nothing like a boy and his dog – that’s true love!! I love them both!!! #2 is my favorite!!! Thank you!! If lucky enough to be chosen then number two would be my choice. I’m of the generation that grew up with Snoopy so am very happy to see him again. I love both of these but especially the first one. I shared on face book and thanks for the chance!!! Aww I love them so much! Number 2 is my favorite! great job guys! I love it number 1. Thanks Kasia! They are both so pretty! 🙂 I want number 1! These are very cute. I would take either but, I prefer #2 the best. 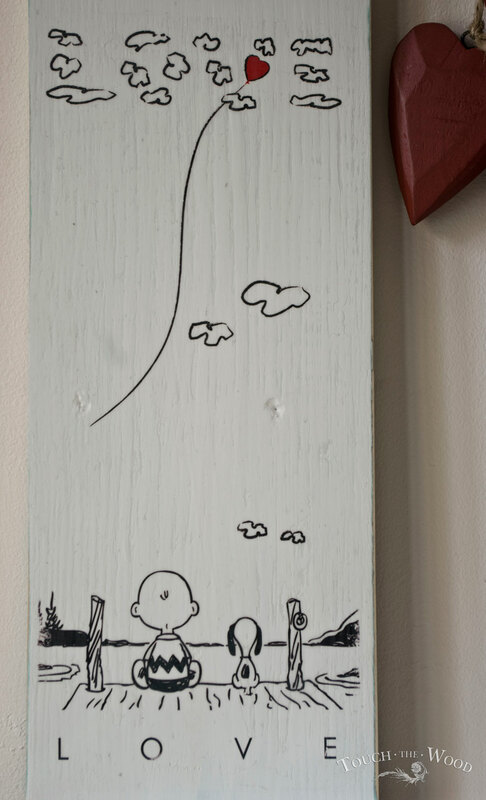 I love how Snoopy and Charlie Brown are watching the balloon fly away and are very content in doing so. Thank you for the opportunity. These are gorgeous! I particularly like number 1 though. Love your page so many great inspirational photos. You have a wonderful gift with furniture. I would like #2 if I am lucky enough to be drawn. Thank you for the opportunity. God Bless you dear. These are the kindest words we heard recently. Bless you. Simply lovely! I wouldn’t know which to choose if I were lucky enough to win! THey are both beautiful, but I guess I would go for #1. Many thanks for this fun competition. I love them both but if I have to choose, it would be number 1. I have always loved the picture. I would like number two. If I don’t win are they available to buy? Thank you!